A few nights ago, it was late and I was about to go to sleep, when I sensed a nudge to jump out of my comfort zone. You know those small impressions, awareness that the Holy Spirit is speaking to your heart. Usually comforting, other times no so much. 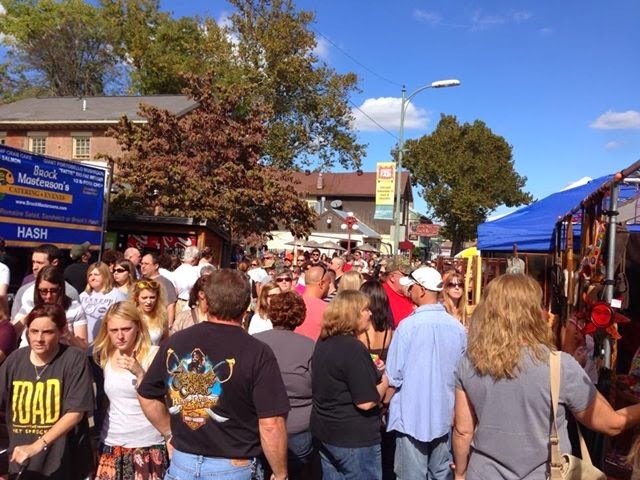 Specifically, go to Yellow Springs Street Fair, 30,000 people show up… and wear a sign. 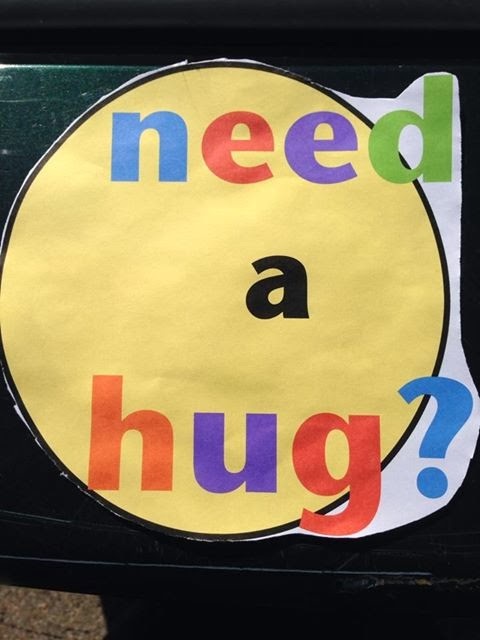 Need a Hug? and hug people needing a hug. As I processed how to do this, I had a picture of the sign in my head, so, in the morning I made my sign. This adventure was so beyond my comfort zone, and beyond what I like to do… I’m a recovering non-hugger. I could have chickened out, but decided to go for it. Here’s the catch I sensed I needed to allow 10 people to come and ask me for a hug. When we arrived I hugged the shuttle bus driver. 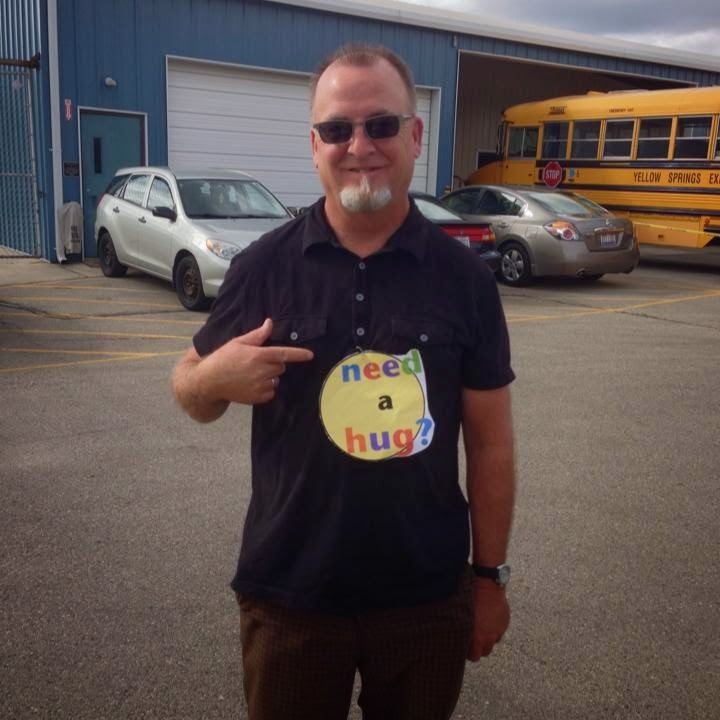 I did asked for a few hugs a long the way. Then settled and waited for the 10. Two ladies a mom and daughter were the 2nd pair who asked for a hug at their booth, we purchased a cool thingy for our yard. The mom read the sign then asked for a hug. I gave her a hug. Then her 30’ish old daughter asked for a hug, I hugged her and felt joy and compassion flow. So, after the hug, I told her it was a hug mix of joy and a compassion. She commented on what a good hug it was and she really needed it especially the compassion. She had tears in her eyes… so, I asked if I could hug her again and compassion flowed. Interesting to see her family standing by and seeing the exchange. She was very grateful. I was amazed what a hug could do. The other people were hugged… It was interesting, they asked. Others laughed and looked puzzled as they saw my sign. My few hours at the Festival were interesting, most humbling and fun. I did think I missed an opportunity to encourage a person. I’m learning to process more quickly. Anyway it was a great experiment the 10 people did ask for a hug, each time I sensed His love flow toward the person. Sunday speaking at the Dayton Campus, after hearing the story, a lady came up and asked for prayer. I asked for permission to give her a hug. As I hugged her, kind of a sideways hug my arm around her shoulder, she wept, tears rolling down her face into the shoulder of my shirt. Wiping her flow of tears away with a Kleenex, she commented, I’ve never been hugged like that before. I was reminded of the book Being Jesus in Nashville where the writer experimented for a year to Be Jesus, and the book Do What Jesus Did, both encourage the reader to break out of our comfort zone to care and love others. Both books are stretching and worth a read. Even better to be a doer and attempt to live it out.